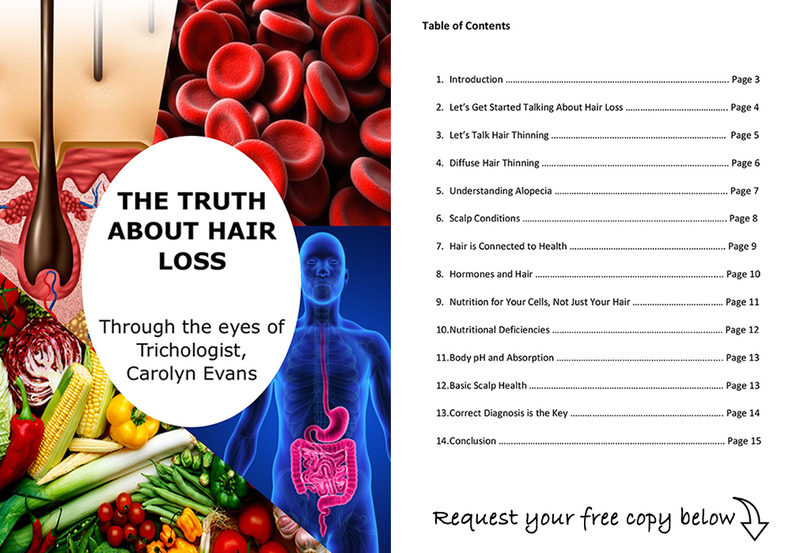 Hair Loss Sydney By Trichologist Carolyn Evans-Frost I.A.T. Absolique Hair Health Clinic Sydney → Blog → Uncategorized → Hair Loss Sydney By Trichologist Carolyn Evans-Frost I.A.T. Hair Loss Sydney should be very specific with understanding of the actual hair loss problems. By far the most known hair loss is Female Pattern Thinning (FMPT) and Male Pattern Thinning (MPT) which is caused by dehydrotestosterone (DHT). As a practicing Trichologist I.A.T. for 16 years I have encountered many patients who have tried all kinds or Hair Loss Sydney without success because they were never accurately diagnosed or were self diagnosed. Understanding of the science of the hair and scalp and the hair cycle are essential for accurate diagnosis and recommendation of any Hair Loss Sydney. 9 out of 10 patients have combined hair cycle disturbances and pattern hair thinning such as FMPT or MPT. Hair cycle disturbances affect the hair cell and when not functioning correctly will be left open to more damage from DHT. Hair Loss Sydney should address not only DHT but also the hair cycle. 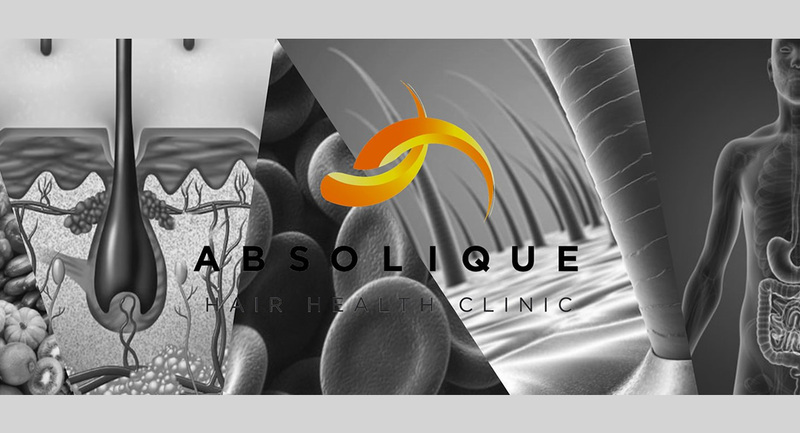 Absolique Hair Health Clinic offer a complete diagnosis session which is the ‘Hair Health and Scalp Check’. The session takes up to 75 minutes and costs $200. Call reception to book your appointment on: 02 8014 6916. Some results from Hair Loss Sydney combination therapy at Absolique Hair Health Clinic. 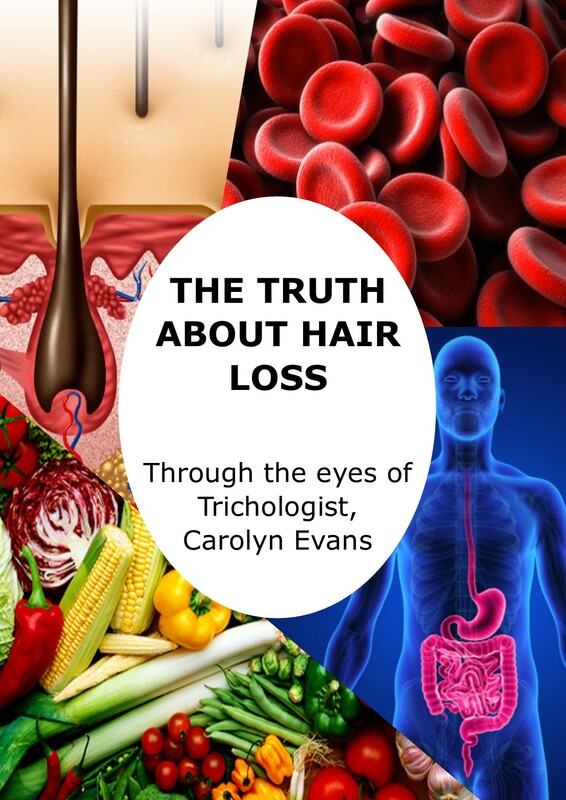 Hair Loss Sydney By Trichologist Carolyn Evans-Frost I.A.T..